This is an offer that is NOT OPEN TO THE PUBLIC. You MUST be a licensed dealer to participate. Volume, Bass, Treble Controls, 17"W x 19.25"H x 11.5"
Description: Dano Mini Case Tough, molded case holds 5 Dano Mini Pedals. Features the same tuning technology as the INT! Description: Ball-End Pegboard Hooks- 2"
Description: Ball-End Pegboard Hooks- 4"
Description: Ball-End Pegboard Hooks- 8"
Description: Ball-End Pegboard Hooks- 10"
Description: Ball-End Pegboard Hooks- 12"
Description: Doublewide- Bass Guitar Strings DW310 "Lean" DW320 "Fatty"
10 Lug, 5.5" x 14"
Description: How to Figure Out Music From Recording on DVD Learn the history of lick learning, the ear training benefits, and how the process works the same for all instruments. Description: Guitar Effects Stereo Parametric E.Q. Description: Rat 2 Pedal Smooth, Continuously variable controls for distortion amount, filter cutoff and volume control. Description: Phase 90 Pedal All MXR pedals feature standard 1/4" input and output jacks, heavy duty on/off switch, zinc die cast body with excellent RF shielding qualities. Description: Dyna Comp The signal limiting processor which varies its gain so the output signal remains constant. when combined with sensitivity control this creates infinitely clean sustain. All MXR pedals feature standard 1/4" input and output jacks, heavy duty on/off switch, zinc die cast body with excellent RF shilding qualities. Description: Blue Box The MXR Blue Box is a musical synthesizer which converts an incoming tone into a fundamental waveshape and adds another tone, 2 octaves below it. Description: Distortion + Controls can be set to produce low-volume controllable distortion or increased to acheive a warm tube overdrive sound. Set to maximum its pronouced fuzztone combines with long sustain. All MXR pedals feature standard 1/4" input and output jacks, heavy duty on/off switch, zinc die cast body with excellent RF shilding qualities. Description: Phase 100 The Phase 100 has ten stages of programmable phase shifting, adjustable intensity for sweep width and notch depth. Controls also provide for regeneration in 2nd and 4th position. All MXR pedals feature standard 1/4" input and output jacks, heavy duty on/off switch, zinc die cast body with excellent RF shilding qualities. Description: 6 Band Graphic EQ Six bands, each based on octave apart with boost and cut 18dB on each band. 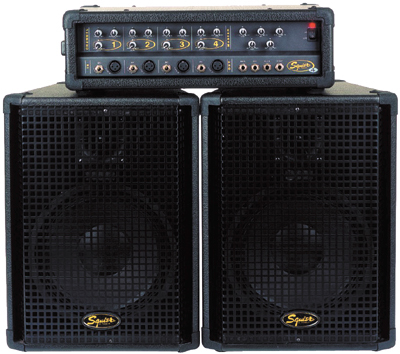 Equalizes complete response range from electric guitar to bass. Description: Micro Amp A versatile battery powered instrument pre-amp with adjustable boost that eliminates pickup loading and high-end signal loss associated with long signal paths. Description: Dan Echo Cool vintage tape effects. The warmth of an all-tube echo with the convenience of a pedal. Hi-cut control cuts high frequencies on repeats. Studio quiet. Description: Dan O Matic Retro 50's era lighted meter guides you to the perfect tune. Choose mute or non mute output jacks. Foot switch activates tuning and cuts sound to mute output for silent tuning. Fully automatic, chromatic tuner. Description: HoneyTone The definitive small portable amp. Great clean or overdriven vintage sound. Louder than most mini amps. Real leather handle, belt clip, and headphone jack. Volume, tone and overdrive controls. Powered by 9 V battery (included). 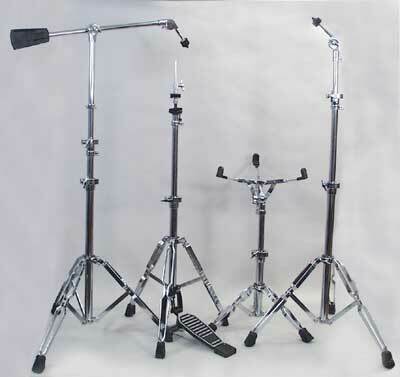 Description: Guitar Stands Single tubular design with fixed top and adjustable rest. Description: Guitar Foot Stool with black finish and non skid rubber feet. Description: 6 String Quick- Change Capo KG6B- Black KG6S- Silver KG6G- Gold KG6R- Red KG6U- Blue One-handed operation, fast and easy to operate, clamps on any fret, no adjustments required, fits comfortably in your hand, does not interfere with playing. Description: 12-String Quick-Change Capo KG12B- Black KG12G- Gold One-handed operation, fast and easy to operate, clamps on any fret, no adjustments required, fits comfortably in your hand, does not interfere with playing. Description: Classical Quick-Change Capo KGCB- Black KGCG- Gold One-handed operation, fast and easy to operate, clamps on any fret, no adjustments required, fits comfortably in your hand, does not interfere with playing. Description: Banjo and Mandolin Quick-Change Capo KBMB- Black KBMS- Silver KBMG- Gold One-handed operation, fast and easy to operate, clamps on any fret, no adjustments required, fits comfortably in your hand, does not interfere with playing. Pickup: 6 HB. Bridge: Tune-O-Matic, Control: 2V+2T, 3L S/W 3 mini S/W.